Since the Evo Powerboard Uberscoot 1000W electric scooter was superseded by the more powerful model, its price came down a bit. This is why we decided to give it a spin. If you need something to help you get around easily and avoid using your car for those short rounds, you should most definitely buy an electric scooter. Be advised that these electric scooters are powered by a battery and you can't kick-push them like the regular ones. ​The first thing that you will notice is that this is definitely not a toy but a serious utility vehicle. Some people even call it the best electric scooter for adults. ​This adult electric scooter features 10″ wheels and you can choose between all terrain tires or typical concrete ones. The removable seat makes it very easy to fold it for storage and transport. ​The wheels are made of an alloy that is keeping the lightweight while remaining durable. The fork is made of high-quality light aluminum. Both are made to last for a very long time. We would recommend that you construct your scooter when you have a couple hours of free time so you don’t have to rush it and you have enough time to do a good job. It's really very easy to do this. Most of the parts just clip on. The only thing that is a bit difficult to do is adjusting the breaks. It’s important that you adjust them to suit your needs. So they have to feel right and to stop the scooter properly. 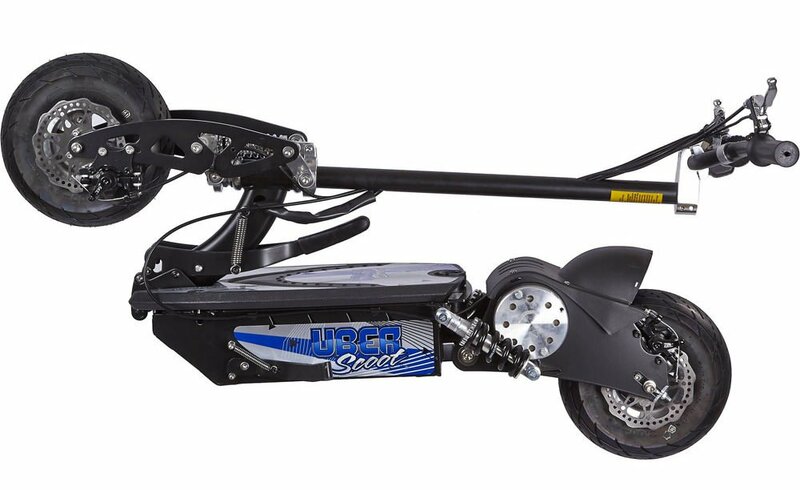 This scooter is designed to be light and therefore the most of the parts are made of aluminum. The batteries are the heaviest component. There is some amount of steel in the frame to give it durability. The scooter is basically designed to ride it while sitting on the seat. The handle bar is high enough and you will have no problem with the back. But if you are 6 feet high it might be a little bit uncomfortable. ​The tires will last for over a year depending on how much you use them. They have a great grip and can be compared to the tires on the cars or mountain bikes. When you ride the scooter you are very exposed so it is not recommended to use it on the busy roads and fast traffic. The helmet is highly recommended, especially if the child is riding it. Always be safe when riding this little electric scooter. This is not a toy, it’s more like a small mini motorbike. 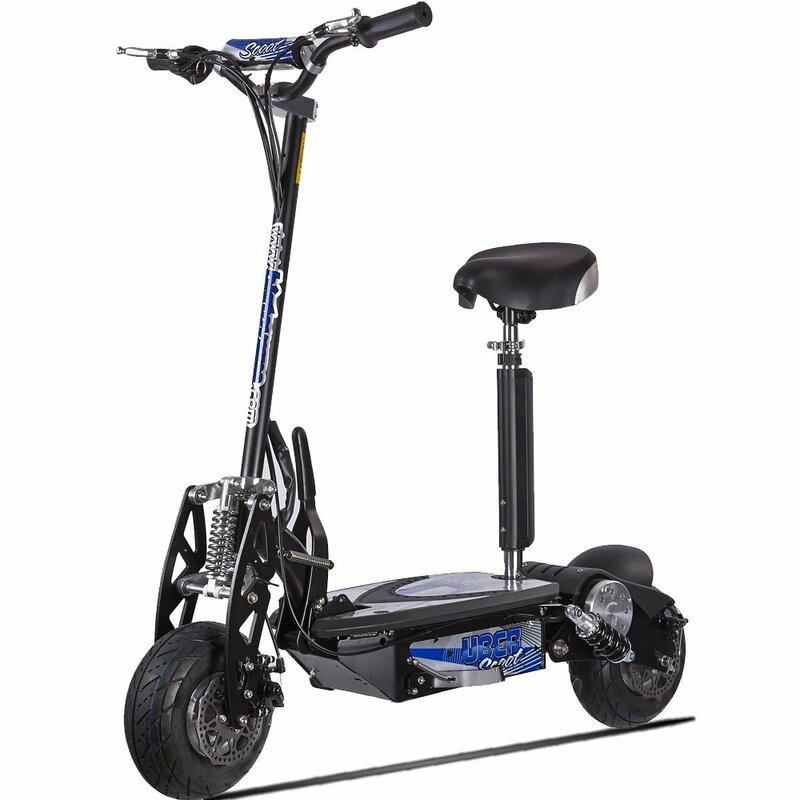 In my opinion, this is one of the best electric scooter for adults you can get for the money. It is very popular for a good reason. You will get a very high-quality scooter that will never let you down. It is the ideal commuter for longer distances that can be very easily folded and stored.